Home » Growing » Growing, Selling and Propagating Patented Coral Bells also called Heuchera. 1,000 Coral Bells, Heuchera rooted cuttings ready to pot. 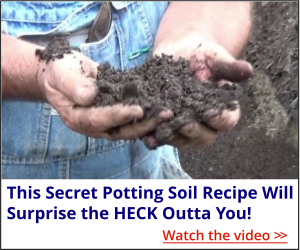 There are all kinds of truly awesome Huechera on the market, but many of the most Desired Ones are Patented, which makes it illegal to propagate them without entering into a legal agreement with the patent holder. That involves a license fee and guarantee that you will produce a certain amount every year. Licenses usually start at $1,000 and go up from there. The minimum number required to even be considered for a license is usually 10,000 plants per year. Yes, there is, but it still requires an investment. This is how it works. Most greenhouses buy Unrooted Cuttings of many of the things they want to grow, root them in their greenhouse, then grow them on and sell them. Most of these unrooted cuttings come from South America where non hardy plants can be grown outdoors year round. Those who supply the unrooted cuttings have fields and fields of plants that they can take cuttings from. Me? I don’t have a greenhouse, don’t want a greenhouse. Everything that we grow spends the winter outside in the cold and here in northern Ohio it gets plenty cold. Our plants have to be tough. But we Have this Member who does have a greenhouse and he buys thousands and thousands of these unrooted coral bells cuttings from South America each winter, roots them in his greenhouse and sells them to people like me. He also sells them in Our Members Buy/Sell Area in smaller quantities so our members have the chance to grow and sell them from home. I usually buy 1,000 a year from him each spring. I just picked up these 20 flats a few days ago. 20 Flats of Coral Bells Rooted Cuttings. Now, in order for our member to grow these patented plants there are a couple of things that he has to do. Buy the unrooted cuttings from South America. I think he buys at least 18,000 at a time. He has to pay the royalty up front. A royalty has to be paid on every patented plant that is sold. The royalty is only paid one time on each plant. So our member pays the royalty upfront and that satisfies the royalty requirement. In most cases you are required to buy the plant tags at the same time because the growers who hold these patents what them properly labeled when they are sold. It clearly states on the tag that it’s against the law propagate the plants. Once you meet those obligations you are free to grow out and sell the plants. What about me as the wholesale buyer of the same plants? When I buy patented plants just like I did here I am given a tag for each plant so I can properly tag them as we pot them up. In this case the tags are built into the price of the plants, in other cases I have to pay for the tags separately. I am required to use those tags. They have to be in the pot when sold to the end user so everybody along the way knows the plants are patented and propagation is prohibited. In this case I bought 1,000 plants and received 1,000 tags. I have the right to pot up 1,000 plants and resell them. I CAN NOT take cuttings from any patented plant that I buy to resell. I bought 1,000, I can resell 1,000. Absolutely no more. Yea Mike, but how would they ever know? In the industry we call them plant police. They are not police and they are not government employees. They are private contractors who are paid to drive from nursery to nursery looking for Plant Patent Violations. There are a number of things they look for. One for sure are the proper tags. In some cases when growing and selling a patented plant you actually have to buy a branded (colored) pot and put the plants in that pot. If the “plant police” find a patented plant in a black pot, that’s a big red flag for them and they will look further. Next time you go to a garden center be sure to look at the pots the plants are in. These days garden centers are full of patented plants being sold in branded pots. But you are not always required to buy the pot. You’ll know when you place your order. If you are found growing patented plants without permission they will levy you with a fine and will ask you to destroy the plants. If you fail to comply there is a good chance that they will file a civil lawsuit against you. Is it right that big companies place patents on some plants? It is right. There is a lot of time, effort, energy and it often takes years to bring a new plant to market. Patents of all kinds are designed to encourage inventors of all things, including plants, to bring new things to market. A patent gives them X years to profit from their invention or introduction until it becomes public domain. A plant patent last for 20 years from the date of application. But beware! The name of the plant is probably registered as a registered trademark and can be renewed for years. So the trade name itself will be protected long after the plant. This is what I tell Our Members and it’s really, really important. Our job is not to find ways to grow plants that are patented or protected by a trademark. Our job is to make sure the beautiful plants that are in the public domain will continue to be grown, sold and grace the yards of people across America. There are so many beautiful plants that you and I are free to grow, thousands of them. We need not worry about the patented plants and focus on the plants that are being pushed off the market. We made a movie about this so you can get a close look. Take a peek . . .
Those plants are far too beautiful and far to important to be allowed to become extinct. So as long as I am here, doing what I do, I promise you I will not let that happen. I thought you could sell Patented/tradmarked plants from seed. If you collected the seeds from these coral bell plants, could you not just sell them out -right without tags and special pots? To my knowledge you can, but more than likely they will not come true to the parent plant from seed. But it’s fun to shoot for new varieties from seed. I set out Cora belles last year 2016, this year they still look like they dis last year, haven’t grown any, can U tell me what I need to do? It could be the variety, some do fantastic, others not so well. But typically they are easy to grow and care for. Is it possible that some companies put the “propagation of trademarked plants is prohibited’ on all their plants regardless if the plant is patented or not? I saw this statement on a tag for Goldmound Spirea, which to my knowledge isn’t patent protected. It appears they are trying to discourage propagation period. By the way, thanks for all the knowledge you have shared. You make a good point and yes, sometimes they do. If the plant is patented a PP# should be right on the tag, next to the name of the plant. 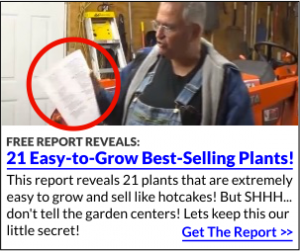 This comes up all the time in our members area, http://backyardgrowers.com/join, and always there is at least one person who is familiar with the plant and knows, or we have at least one person who is awesome at researching plant patents and often finds the info. Division is a form of asexual propagation and against the law with patented plants.